Give in to the exotic confluence of today and tomorrow in this beautiful attire. 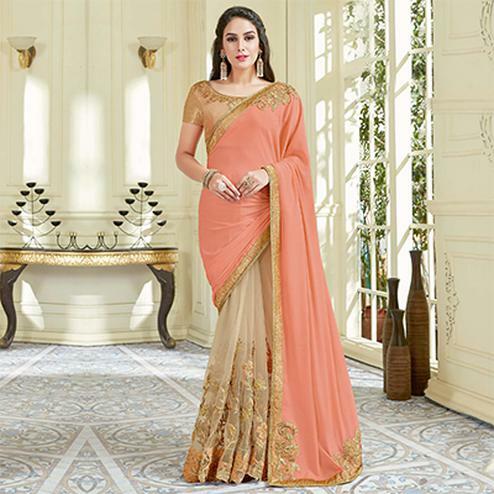 Spread the aura of freshness with this mesmerising blush pink colored designer saree. The saree attire is embellished with stone and print work which makes this saree demanding among people. 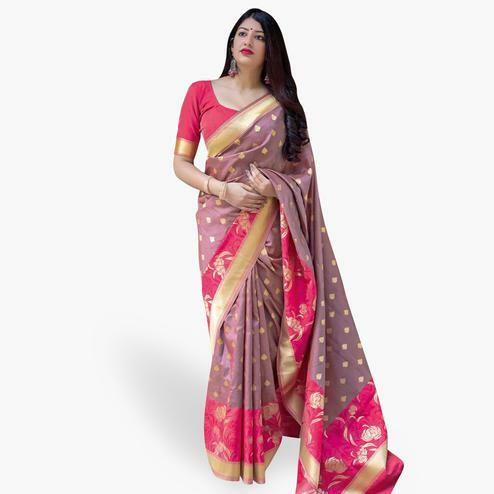 This saree is made of art silk fabric which is easy to carry all day long, comes along with unstitched printed art silk blouse piece. It's a must have saree in your ethnic collection. This designer saree is perfect for your upcoming wedding functions, parties, events or occasions. Pair it with stylish accessories to complete the look.